Why Everyone Should Try a Belize Wellness Vacation! If you’re thinking about a Belize wellness holiday, you probably had no idea that you were considering one of the trendiest ways to vacation. Wellness vacations have become a $4-trillion-dollar industry, says the Global Wellness Institute, a nonprofit that’s been watching this type of vacation flourish. Why a wellness vacation? Because people eager to improve their health and wellbeing don’t want to leave their efforts back home, preferring to maintain their healthy lifestyle no matter where they travel. Of course, Belize has already recognized this phenomenon and properties like Coco Plum Island Resort have put into place everything a traveler needs to support his or her healthy lifestyle. 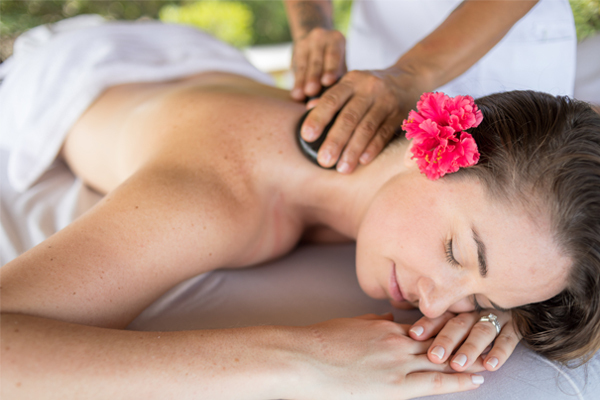 What can you expect from your wellness Belize experience at Coco Plum? More than you imagine! The resort’s open-air yoga deck is a combination of breathtaking views and like-minded people who gather on the deck’s teak flooring to breathe, relax and stretch. Alternately, guests are invited to undertake their Yoga routines on their own if they prefer. Coco Plum prides itself on its “Sunshine Massage” team, each member trained to deliver the relaxing experience you deserve. Work out any stress you may have brought to Belize by scheduling one or more sessions as you look out over the Caribbean Sea that lies just beneath Coco Plum’s overwater spa. A couples massage is a great way to reconnect followed by alone time in your cabana or villa. Science is on your side. According to the Expedia Pleasure Index, 77-percent of Americans report relationship improvements and 93-percent of people queried said they were likely to be intimate with their partners on vacations. 4. Eat up—someone else is doing the cooking! At Coco Plum, menus are loaded with healthy food alternatives that taste amazing. Fuel up at breakfast with fresh tropical fruits, protein-packed eggs, and other dishes. Feast on local recipes that turn fish and chicken into gourmet lunches and if you catch your dinner on a Coco Plum fishing excursion, chefs will prepare it your way. If you’ve never had a steady diet of fresh, locally-sourced foods, you’re in for a treat. Design your wellness vacation to suit your interests, desires, and fancies. Coco Plum staff is delighted to make sure you get the privacy, pampering, and pleasures you crave. All that’s missing is you!